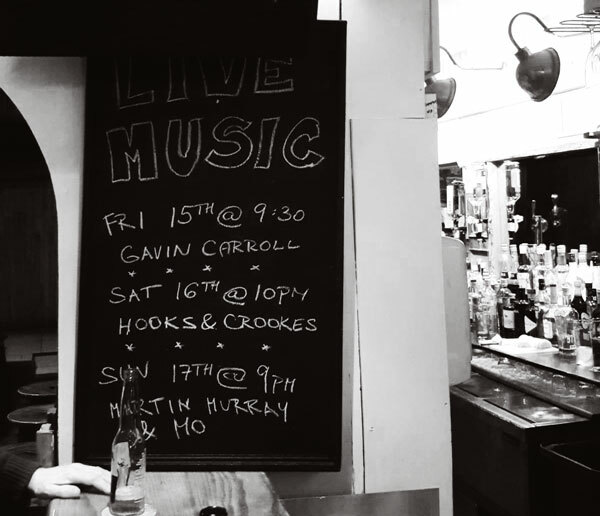 Hooks and Crookes are shantymen based in Waterford in the southeast of Ireland. Our name comes from the Cromwellian saying, 'of getting there by Hook or by Crooke'. Hook and Crooke are the name of the headlands on either side of Waterford Harbour. You can now buy our CDs using paypal. Click here to begin shopping. 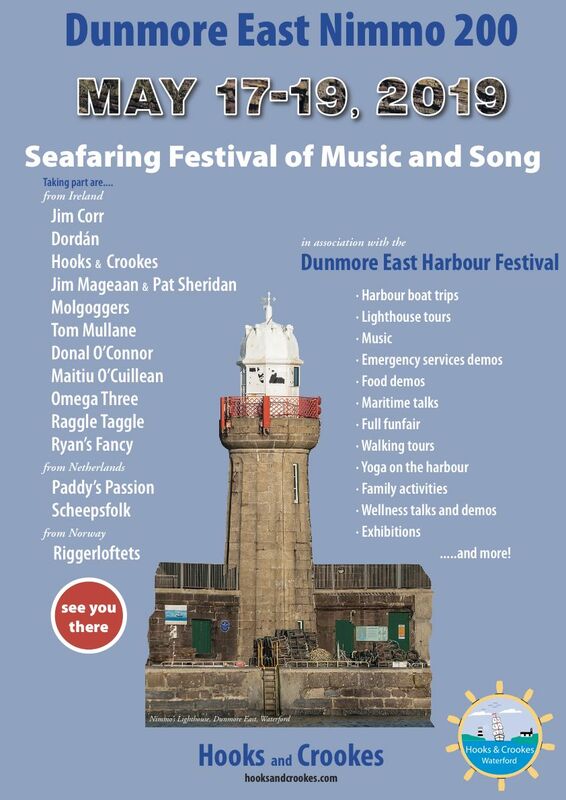 The Dunmore East Harbour Festival is taking place over the weekend of the 18th/19th May. Youl find all the details of the Festival at Dunmore East Harbour Festival. 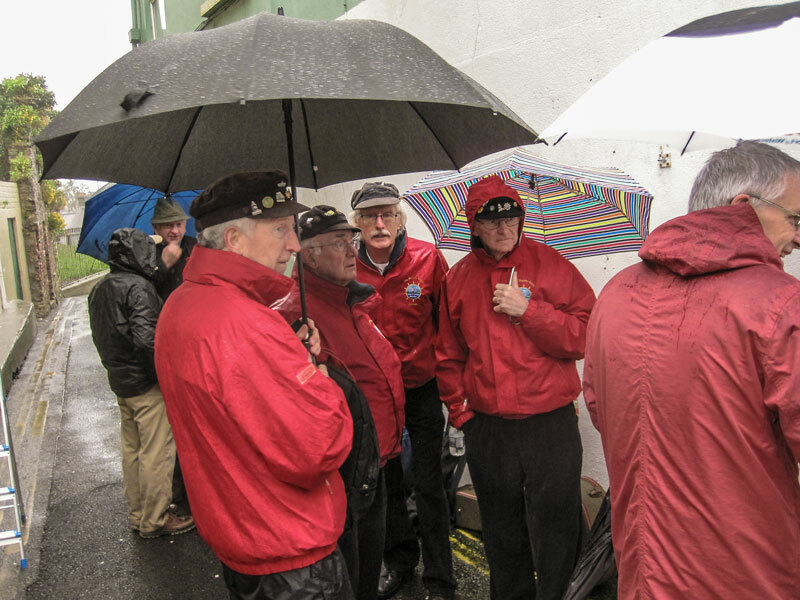 Hooks and Crookes are organising a shanty event, Dunmore East Nimmo 200, in association with the Harbour Festival. There'll be singing in the Harbour, on the quay, in the restaurants and in the pubs. A great weekend is in store. All aboard!! 15th April 2019: The Titanic struck an iceberg just before midnight on the 14th April 1912 and she sank in the North Atlantic Ocean on her maiden voyage from Southampton to New York. On board was Patrick O’Keeffe, the only person on the ship from Waterford. Patrick was born in Little Micheal Street in the City in 1890 and decided to emigrate to America when he was 19. In 1912 he returned to Waterford for a family holiday but he was persuaded to stay a week longer than anticipated, so he had to change his ticket from the Baltic to the Titanic, which he joined at Cobh on the 11 April. When she went down, Patrick assisted many passengers onto life-rafts before they were rescued by the Carpathia and taken to New York, where Patrick stayed until he died in 1939, without ever having returned to Ireland and his native City. 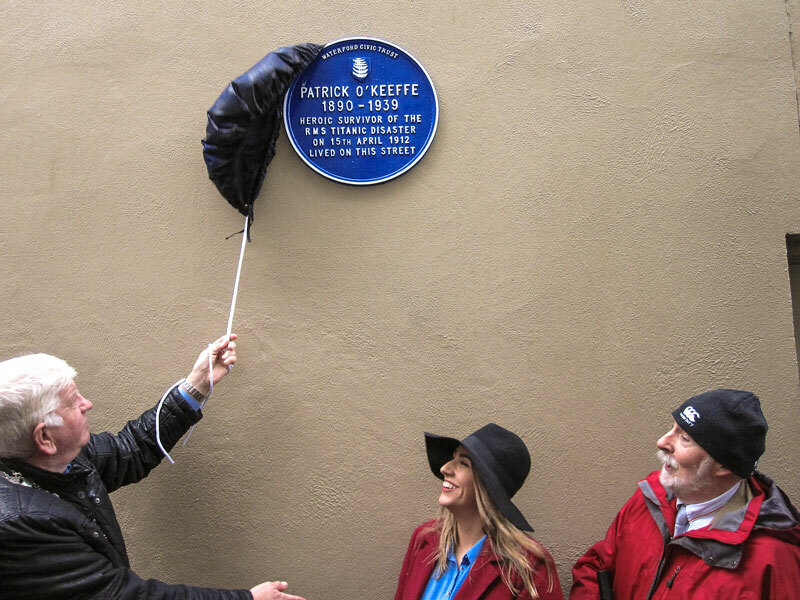 It was fitting, therefore, that Waterford Civic Trust remembered Patrick, on the anniversary of the sinking of the Titanic, and a plaque was unveiled in his honour on the wall of the house where he was born in Little Micheal Street. 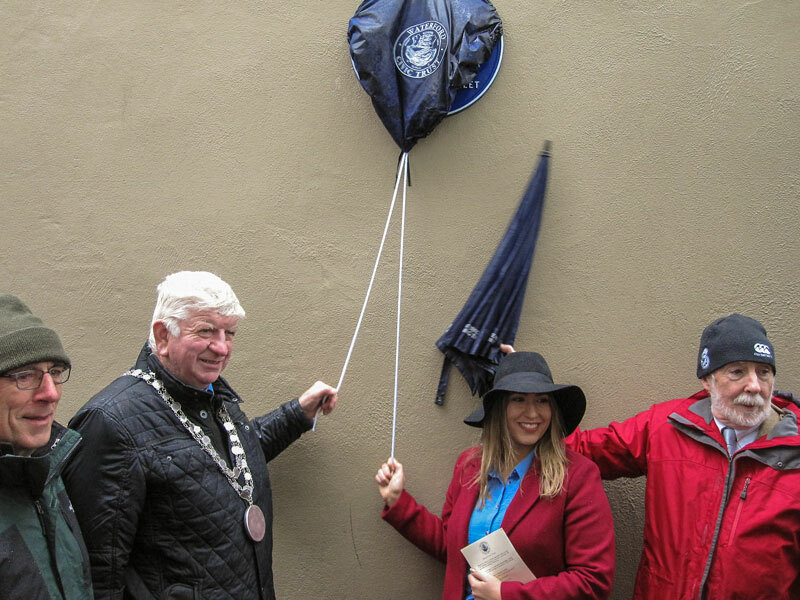 We were delighted to sing a song (appropriately enough, The Lighthouse Song) at the unveiling of the plaque, despite the horrendous weather, and to sing again in Geoffs bar down the road, where the occasion was celebrated with speeches by Des Griffin of the Waterford Civic Trust, the Mayor of Waterford Councillor Declan Doocey and by O’Keeffe family members. A fitting occasion indeed. 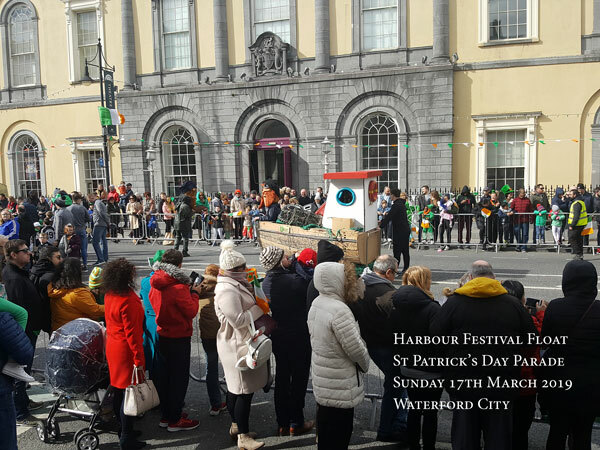 17th March: The Dunmore East Harbour Festival ran a float in the St Patrick's Day Parade in Waterford City on Sunday 17th March and it was mentioned that the Harbour Festival would be a fun-filled jamboree of family events laced with shanty music and song. 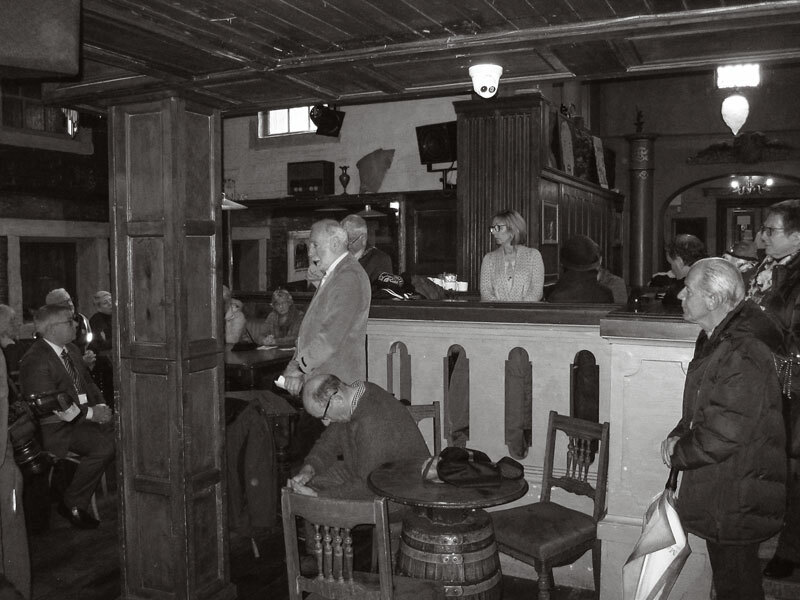 Mary, the MC, said she listened to a great flavour of what was to come in The Strand in Dunmore on the previous night (Saturday 16th March) and very much enjoyed the sea shanties heartily sung by Hooks and Crookes. 16 March: It was great to be singing sea songs and shanties to the revellers tonight in The Strand, especially down in Dunmore East, which is steeped in firshing lore and tales of the sea. Especially too on the eve of St Patricks Day, the annual celebration of our patron saint, who is celebrated all over the world by all nations at this time of the year. 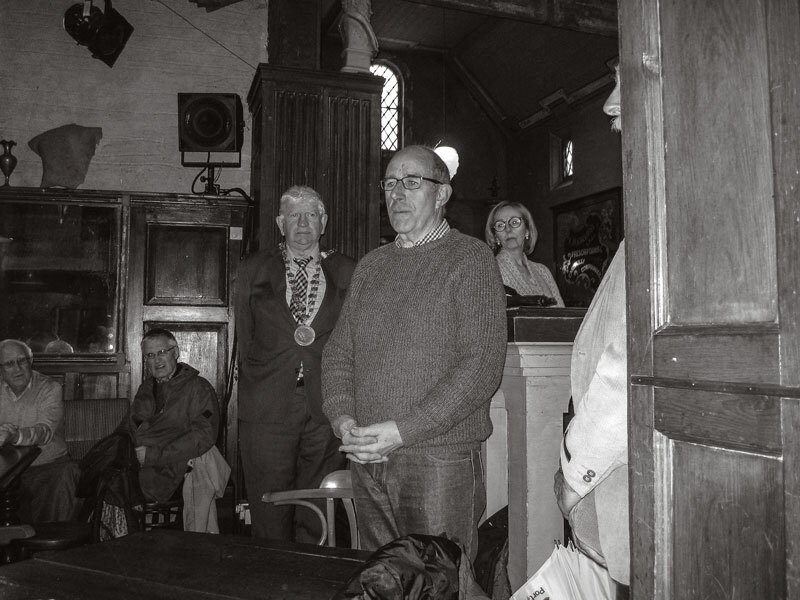 Roll on the Festival, when there will be much, much more shanty singing all over Dunmore East. The Morgenster is beautiful Tall Ship which was very tastefully restored in 2005 and launched in 2008. Further details are available form the Sailonboard website. She has fine lines and sails superbly over the oceans. We were delighted to be asked to provide some of our shanties and sea songs which complement a video produced of the Morgenster in full sail. Have a look and listen while you watch! Our Tall Ships CD can be bought online, along with all our other cds. Click here to purchase.